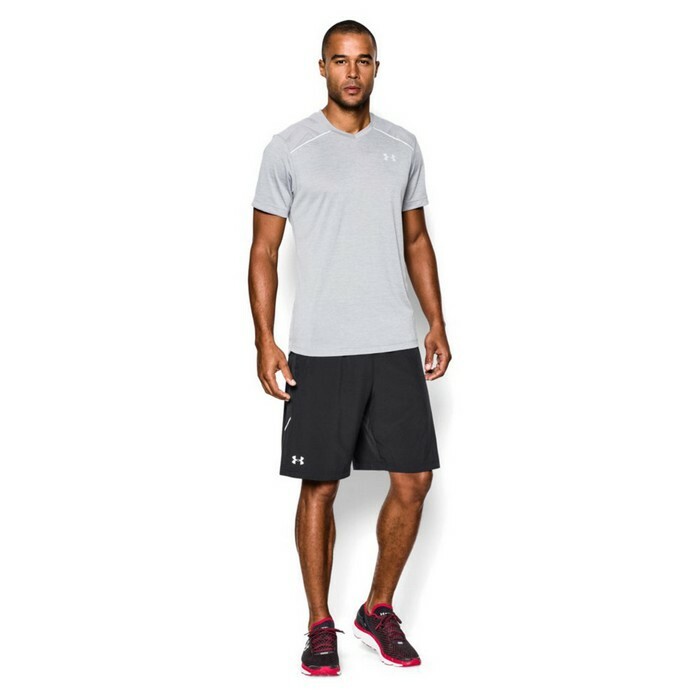 Men’s Under Armour Launch stretch woven 9" running shorts. 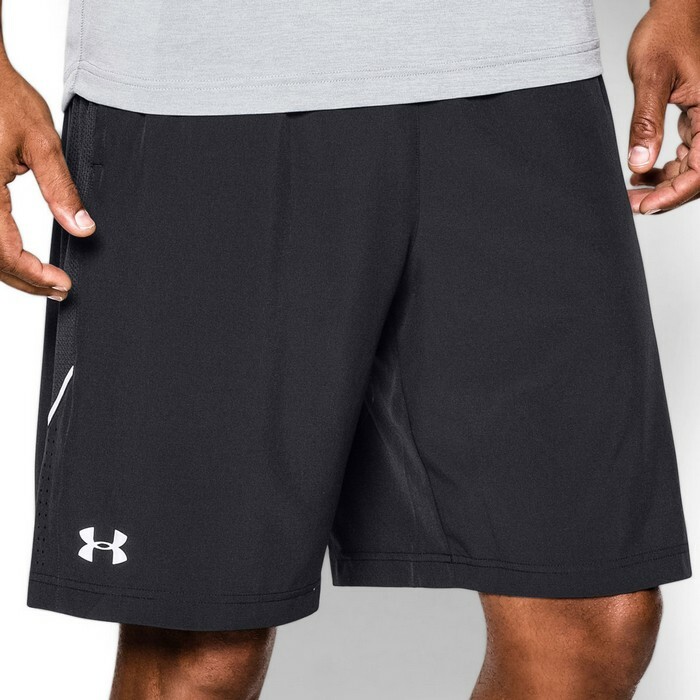 These Men’s Under Armour Launch stretch woven 9” running shorts feature an ultra-light, stretch woven fabric which delivers superior mobility and is extremely light, breathable, and quick drying. 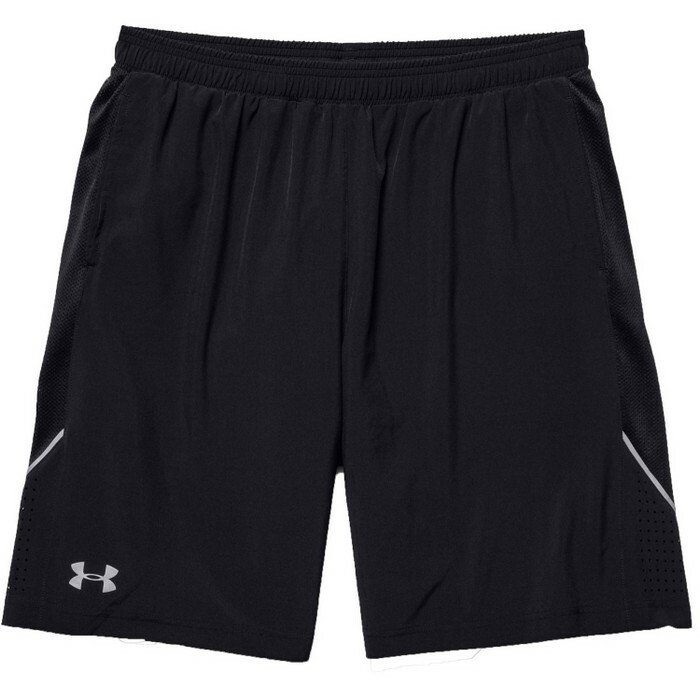 Wear these when all you care about is staying comfortable and getting fitter and faster. Mesh side panels with perforated bottom for strategic ventilation. Mesh hand pockets & internal waist key pocket. Reflective logos & side piping for greater visibility on low-light runs. Body: 3.5 oz. 88% Polyester / 12% Elastane. Mesh: 3.1 oz. 100% Polyester. Liner: 2.5 oz. 100% Polyester.